Sunday’s ride was another ride with a difference. 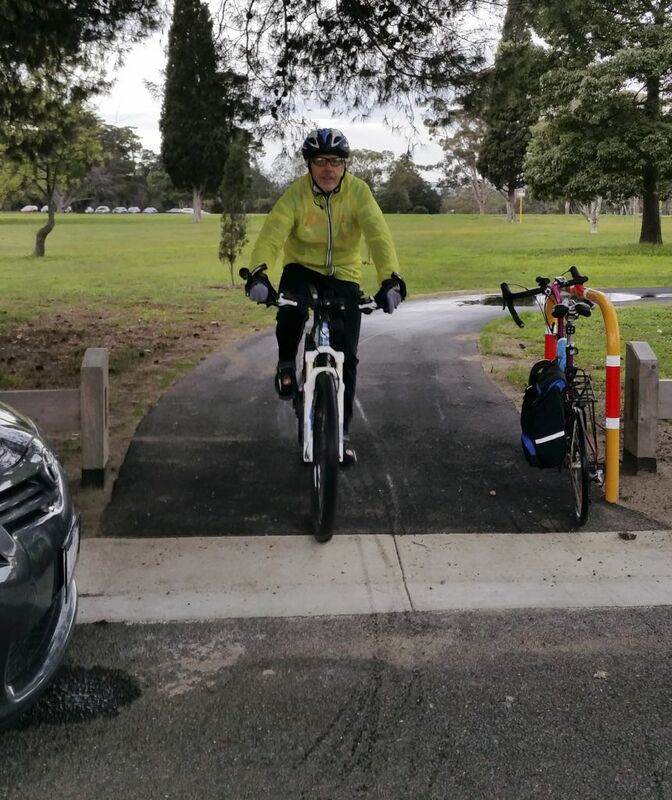 Dave’s brother Gary was allowing Cycling Geelong members to share his ‘secret’ circuit of Geelong, complete with – ‘an easy way to avoid the hills getting from the river to the top of the Newtown hill’. Seven cyclists turned up to be enlightened and challenged on a very cold Sunday morning – Dave (ride leader), Gary (actual leader – Dave’s brother), Dirk & Barbara, Richard, David J and Helen (tail-ender). The ride started from South Barwon Reserve, then took the Waurn Ponds Creek trail to Bunnings Waurn Ponds, then through Highton Shopping Centre to cross Shannon Avenue near ‘the Newtown hill’. 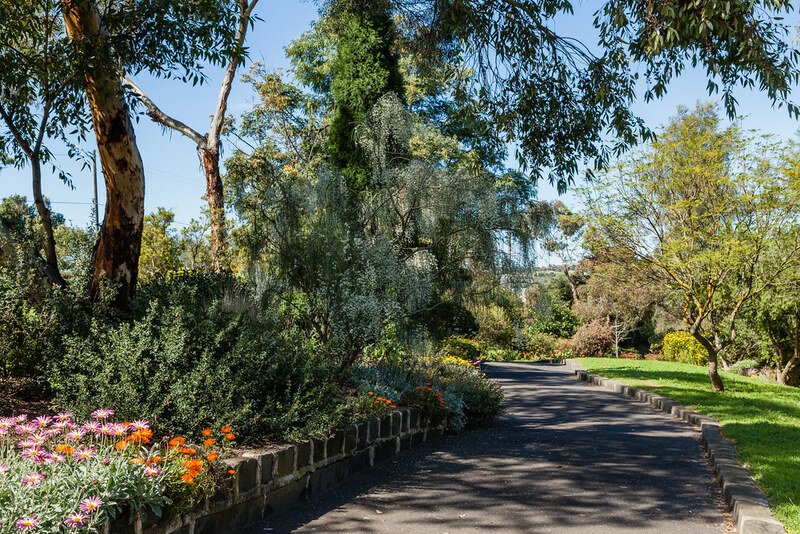 However, instead of the steep ascent, the riders wobbled over cobblestones, then zigzagged through Leach Wood Gardens to West Fyans Street, then headed off north through the old tip path to Camden Road. From then the route meandered behind Fyans Park Primary School and back streets to Noble Street, cut through St Joseph’s College to Aphrasia Street, and took Layton Avenue (a cul de sac) to the windy bit of Minerva Road. There were a few gradients along the way, but no long hills! Crossing Aberdeen street the group then took more back streets to the southern end of McCurdy Road, near the old orphanage. From there the route continued north, taking the Ted Wilson Trail all the way to its end at Broderick Road. The riders then cycled the coastal route back into Geelong city for a very expensive (though warming) coffee at Wharfshed Cafe. At this point several riders left the group, which returned to South Barwon Reserve via the new Eastern Park bikeway, and Boundary Road. Many thanks to Gary for a most interesting morning’s cycling, Dave as ride leader and all riders. We look forward to seeing you on a Cycling Geelong ride soon. Keep those pedals turning. Click the map below for more more detail. This entry was posted in Ride reports and tagged Wharfshed Cafe by hlyth2013. Bookmark the permalink.